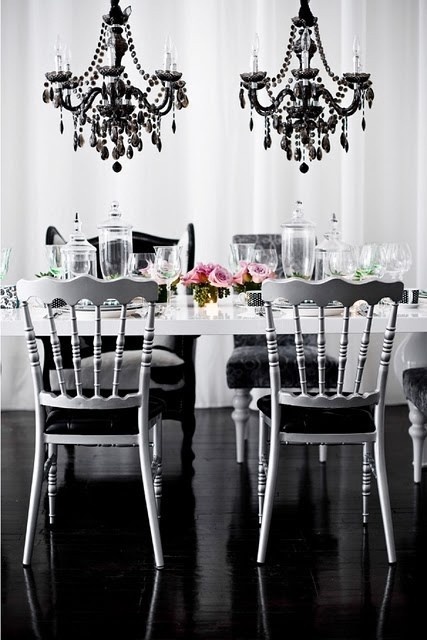 How amazing are the dual chandeliers? J. Mendel sweetheart bodice gown; this and next at barneys.com. Jimmy Choo Anouk degrade metallic leather and suede pumps; this and next at net-a-porter.com. 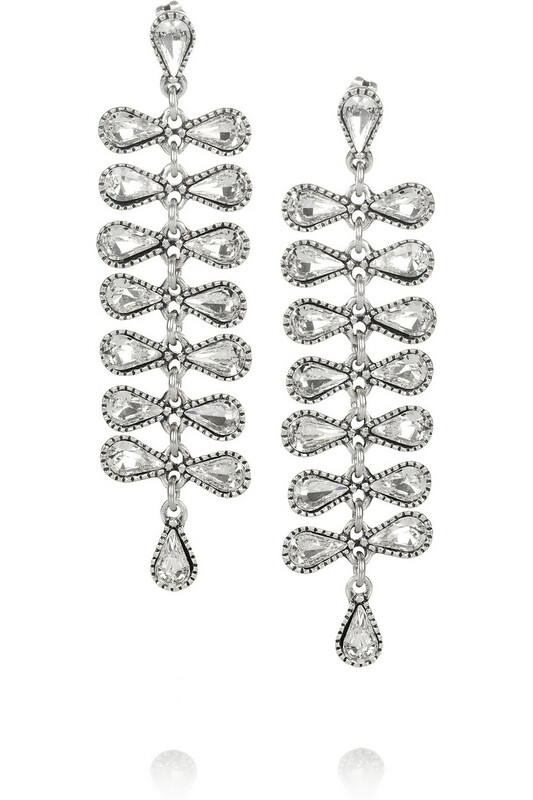 Philippe Audibert Donna silver-plated Swarovski crystal drop earrings. Darlings, what do you think of this luxe space and the black tie look it inspired? Love this look you put together. Those shoes are seriously to DIE for. I love them. One chandelier is beautiful. Two of them is amazing. Shall we dance at a ball?